Are you ready for a little rest and relaxation? 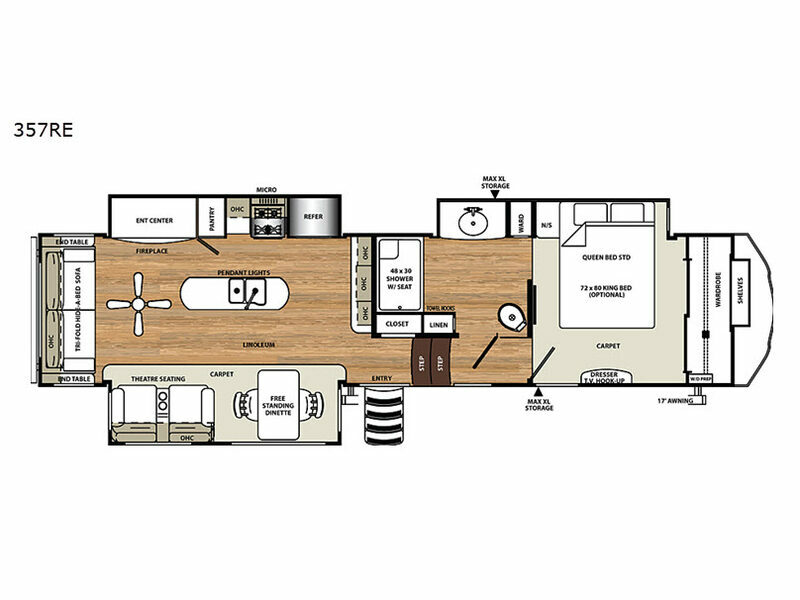 Well, you will want this triple-slide Sandpiper fifth wheel for all of your camping trips. 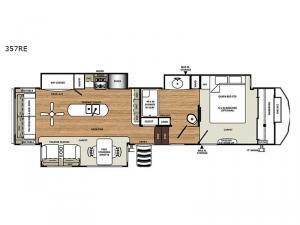 You can easily visit with your family and friends in the rear living area where you will find a tri-fold hide-a-bed sofa, theater seats with heat and massage, and a free-standing table with chairs. In the evenings you may even want to enjoy a fire in the fireplace while watching a movie on the 40" flat screen LED HDTV. In the spacious kitchen, meal prep is a breeze. The island has extra counter space, a double sink, and pendent lights up above. The spacious bathroom is at the top of the stairs, and it includes a 48" x 30" shower with seat, plus plenty of room to get ready for your day of fun and adventure!